Consistently low on inventory, Silver Springs had a median price flat to last year’s number at $938,000, with five fewer sales. 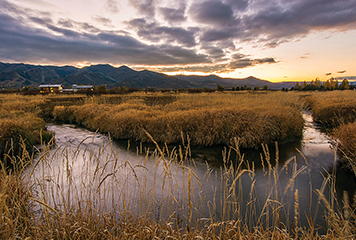 Park Meadows saw a 23% increase in median price with $1.84 M and 44 closed sales – up 13% to the previous 12 months. Combined, there were only 13 home sales in Empire Pass and Upper Deer Valley. Both neighborhoods saw median price decreases as well, with Empire at $5.66 M and Upper DV at $5.85 M.
***Woodland / Francis had a median price of $457,000 with 30 transactions. ***Kamas / Marion had a median price of $312,000 with 34 transactions. ***Oakley had a median price of $397,000 with 48 transactions. For our total market area, the total number of closed sales was up 6%, total dollar volume was up 28%, and median sold price increased 12% to $500,000. The 333 condo sales within the City Limits surpassed the Snyderville Basin’s number of 310, and with new product available, the Jordanelle area saw a steep 39% increase in the quantity sold reaching 191. The Canyons neighborhood averaged 10 sales per month with a total of 113 for the year – the highest in the Basin, with a 14% median price increase to $635,000. Pinebrook was on par to last year’s number of 61 closed sales sustaining a median price of $463,000. Upper Deer Valley shot up in quantity sold, with 31 more sales than last year – the lion’s share of which can be attributed to Stein Eriksen Residences. The median price also increased to $2.6 M.
Prospector’s median price of $136,000 remained stable to last year’s number. Sara Werbelow, President of the Park City Board of REALTORS® commented, “It’s important to pay attention to the micro-market areas that tell their own story; however, in general supply is continuing to pace with demand in our greater market area.” Since zip codes don’t explain neighborhood individuality, property condition, or amenities; and neighborhoods vary greatly in both price and inventory levels, buyers and sellers are encouraged to contact a member of the Park City Board of REALTORS® to find answers to specific real estate related inquiries.